Courtesy of Greene County Historical Society Residents gather for a market day, probably a Saturday, in front of the old courthouse, before 1900. Farmers came into town to sell and buy on that day. Residents gather for a market day, probably a Saturday, in front of the old courthouse, before 1900. Farmers came into town to sell and buy on that day. 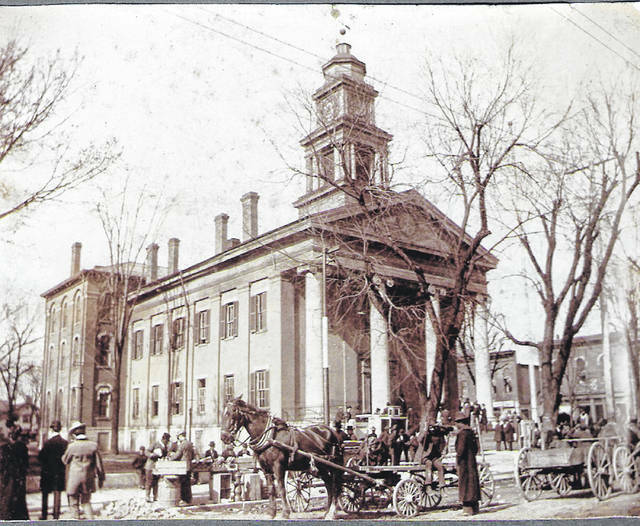 https://www.xeniagazette.com/wp-content/uploads/sites/32/2018/07/web1_market-day.jpgCourtesy of Greene County Historical Society Residents gather for a market day, probably a Saturday, in front of the old courthouse, before 1900. Farmers came into town to sell and buy on that day.